View, download, or purchase course materials online. All course materials are accessible from the multimedia SCoRE website, including a virtual Instructor Manual and Student Course Book. Online materials are easy to navigate, print, and download. Guidelines for teaching SCoRE®, including lesson scripts to lead in-class activities and discussions. All in-class materials and at-home assignments with engaging graphics to summarize key concepts. Online training and certification with continuing education credit to prepare to teach SCoRE. Questionnaires and personalized reports to assess individual resilience strengths and areas for improvement. Downloadable course materials, including the Student Course Book and a slide package to use when teaching classes. Resilience-building exercises to practice skills learned in class and provide materials for later reference. 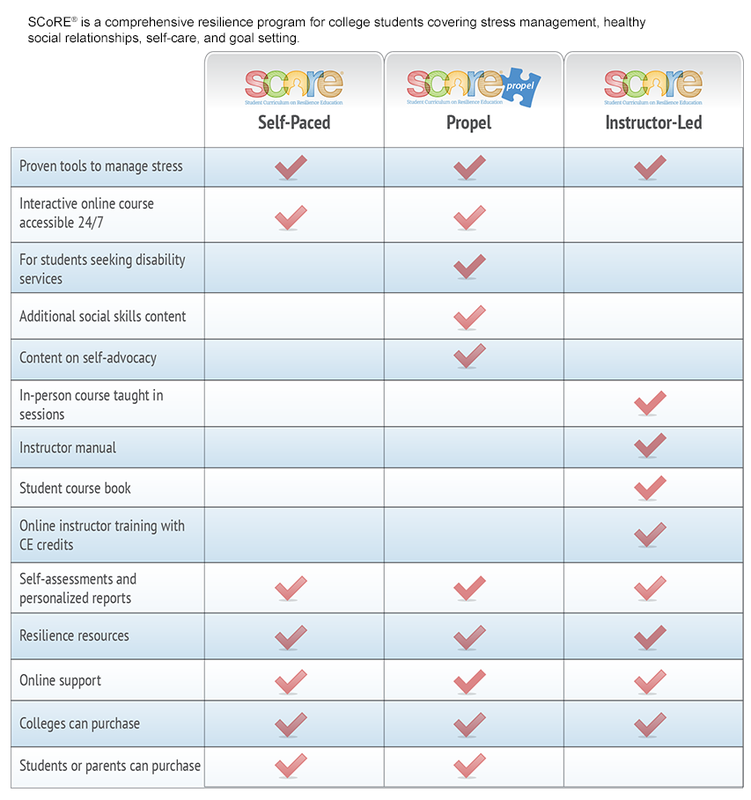 SCoRE is a comprehensive resilience education program covering stress management, healthy social relationships, self-care, and goal setting. Each of the five units is divided into three lessons.